The EUR/USD pair has reached its descending wave's target. For today we'd consider a possible correction move towards 1.1707. 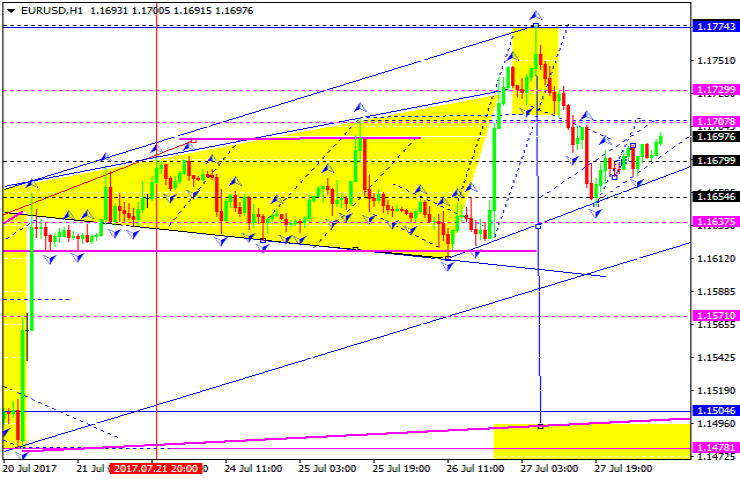 Another possible scenario is continuation of the downtrend to reach the 1.1637 level. 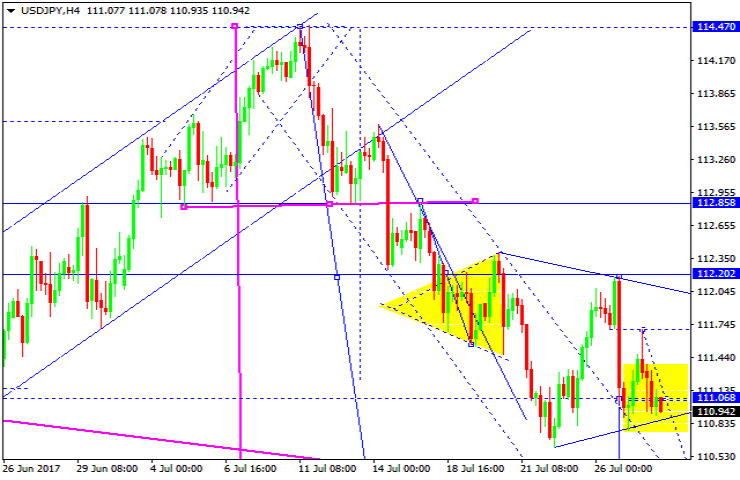 If a consolidation range occurs at this level, the downward move can be extended and bring the pair to 1.1571. It has a local target. The GBP/USD pair has completed a descending impulse. For today we'd consider a possible upward move towards 1.3098. Another scenario is declining towards 1.3042. If this level is broken through, the 1.2932 level can be achieved and hit. 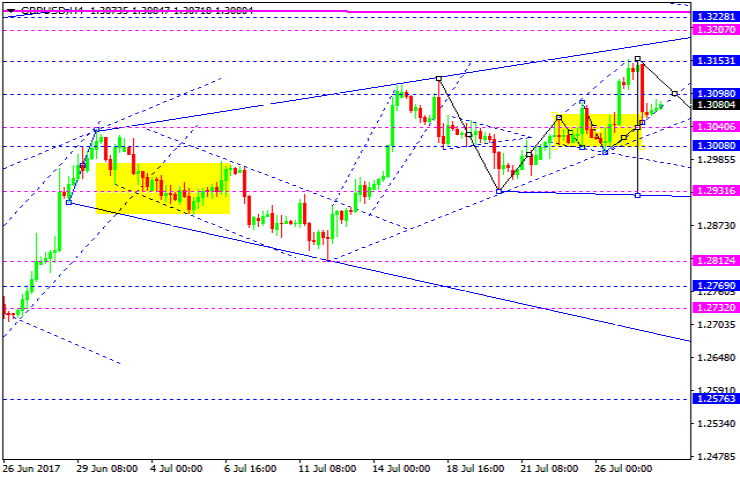 The USD/CHF pair has hit the target of the ascending move. It broke through the 0.9630 level and then moved to 0.9822. Today the market is trading lower under pressure. A correction move towards 0.9630 is possible. 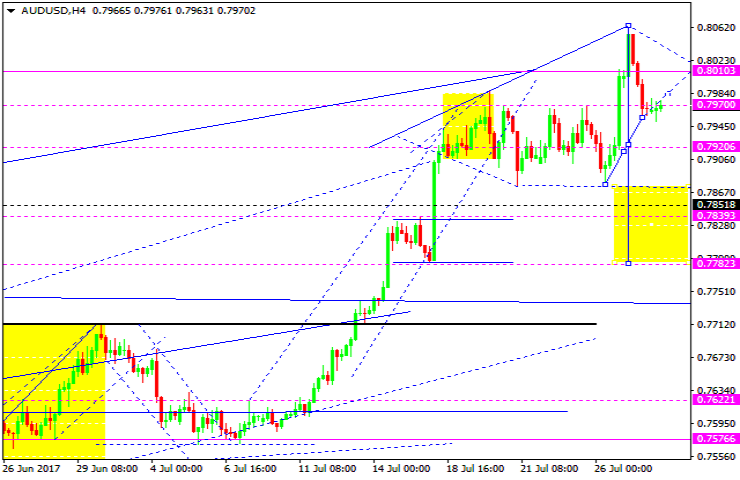 The pair can also move higher to reach 0.9770. It has a local target. The USD/JPY pair keeps trading lower under pressure. The current move can be treated as the fifth descending wave to reach the 109.90 level. The AUD/USD pair has completed its descending impulse. For today we'd consider a correction move towards 0.8010. 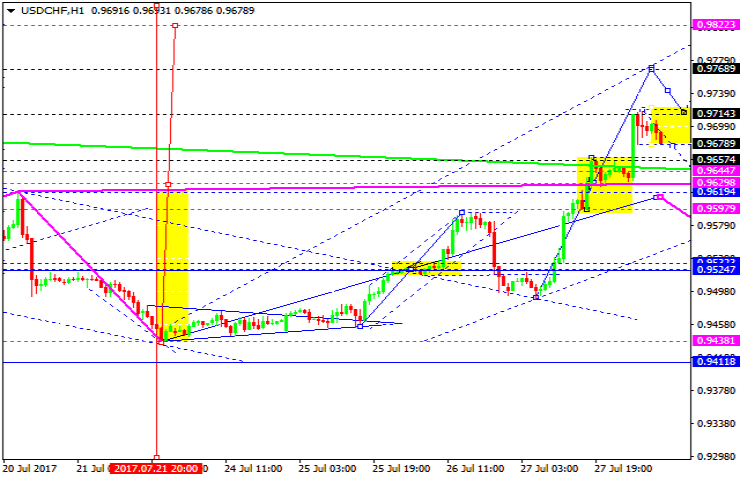 Then a downward move towards 0.7920 level is possible. The USD/RUB pair is trading within a consolidation range near 59.43 level. Continuation of the current downtrend is expected to reach 58.64 level. Another scenario is development of a new consolidation range as continuation of the downtrend. The local target stands at 57.32. Gold is trading lower under pressure. For today we'd consider a possible correction move towards 1244.60 level. Then the pair can move even higher to reach 1261.00 level. 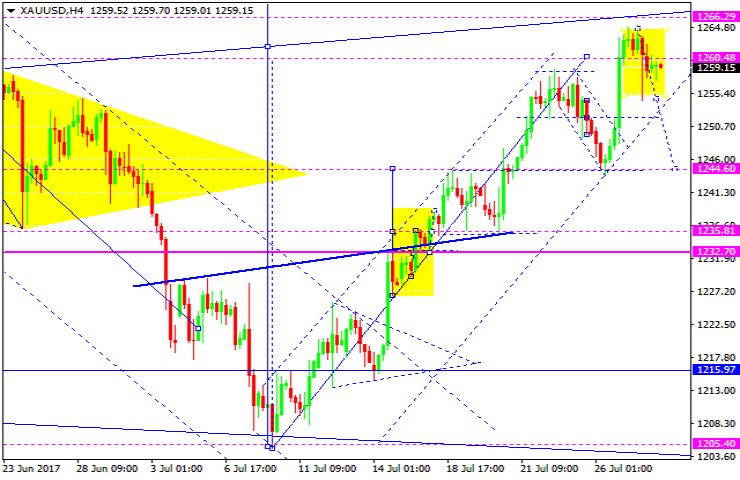 After that a correction move can occur which can bring the pair to 1235.00 level. Oil has completed yet another target of an ascending move. For today we'd look into a consolidation range at the current lows. 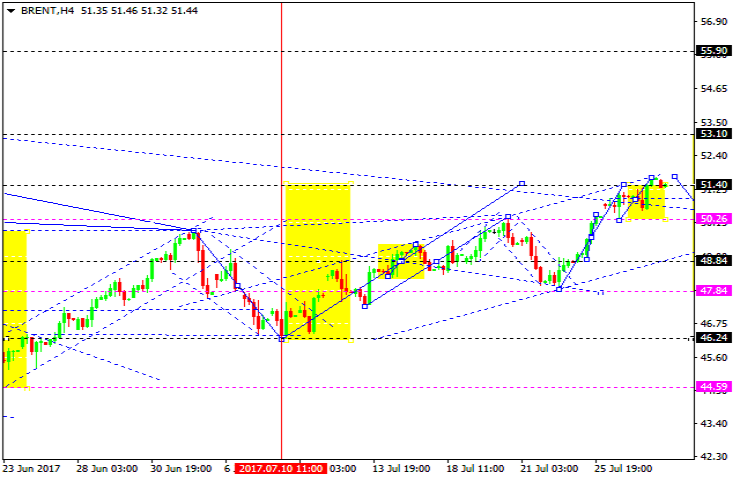 If this target is broken through from top downwards, a correction move towards 48.84 can happen. 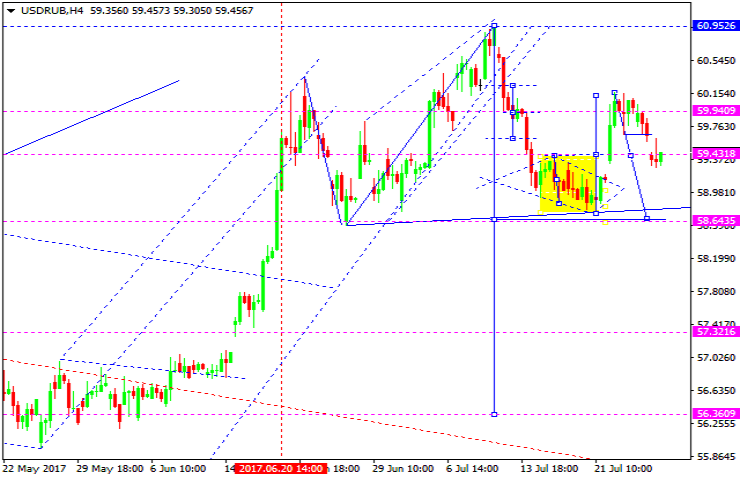 In case the upper edge of the range is broken, it is possible that price can hit 53.10 level.